Currently, the US Commonwealth of Puerto Rico is fighting for its financial life, petitioning Congress to restructure its $70 billion debt and file for bankruptcy. Hamilton creator and son of Puerto Rico Lin-Manuel Miranda took to Last Week Tonight with John Oliver to make a searing artistic plea to the House of Representatives to recognize the humanity and suffering of the Puerto Rican people. That was Sunday. Knight’s endorsement is, on one level, ready-made comedic fodder. Two temperamental old white guys shouting “get off my lawn” at the world. And what is Donald Trump’s campaign but the political embodiment of Knight’s own inability to control his adolescent impulses to curse out, choke, headbutt, and kick his teenage players? 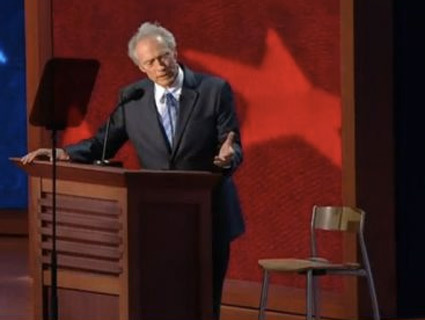 Then there is the moment that Knight is best known for: the throwing of that chair. It doesn’t take Louis CK to observe that the GOP has evolved from being the party of grumpy old men talking to chairs to those who just toss them. They both play the role of “tough guys,” when it is far more apt to describe them as bullies attacking those whom they perceive as ripe, easy targets. Just as Donald Trump is literally giving nightmares to the immigrant children who go to my son’s elementary school, Knight made his players afraid not because he was bigger or stronger but because he had power. That meant he could choke or punch them or shove used toilet paper in their faces, in full knowledge that they’d never be able to give it back. They both also—like so many “chickenhawks” of their generation—revere the US military as grown men, yet did what they had to do to stay out of the Vietnam War. I have no criticism of anyone who stayed out of Vietnam. But their calls for other people’s children to die overseas make it matter. Perhaps that’s why another word their critics use—often—to describe them both is “coward.” Trump has been called a “coward” too many times to count during this campaign, perhaps most memorably by Ted Cruz, who used the phrase “sniveling coward” when Trump attacked his wife’s appearance. Even with Knight’s extensive resume of awfulness, it is a powerful endorsement to roll out in Indianapolis. People at Indiana University say that the largest demonstration on campus in recent memory was when Knight was finally fired. Six thousand people turned out. 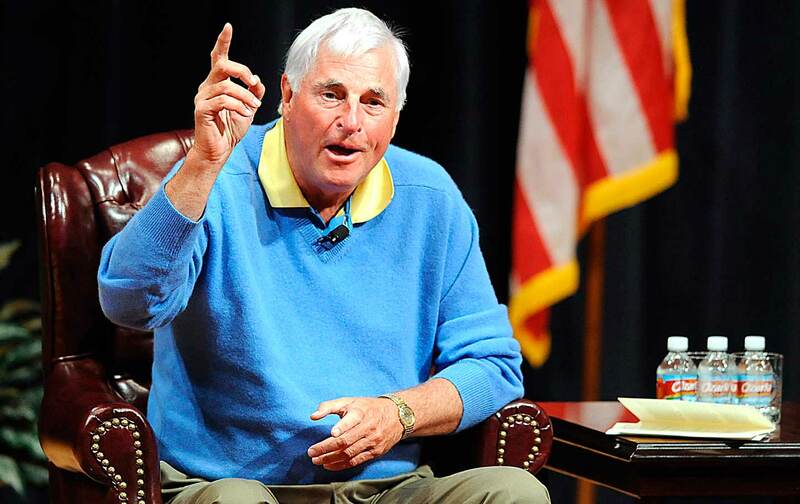 Bob Knight brought NCAA Championships to Indiana, and for some who revered him at a distance, that will always make him a hero. Yet Knight also has his share of enemies among that school’s administration and faculty; the people who had to clean up his continual messes on that campus will never forgive him for how he continually debased the university that he called home. In that respect, Trump and Knight have far more in common than just bullying and ill-tempered frothing at the mouth. They are disliked by those who know them best, and not even Lin-Manuel Miranda at the height of his powers could reimagine them as anything other than the bullies that they are.